North of Vietnam, Ha Long has 4 distinct spring - summer - autumn - winter. Interesting point is that in Ha Long tourists also winter. What is the best reason? Follow Origin Travel tips when traveling to Ha Long Bay to understand more. Spring in Ha Long usually begins in January and ends in March with the cold weather and the characteristic drizzling of the North. This seems to be inconvenient for travel but with many visitors, the Ha Long Spring has its own attractions. 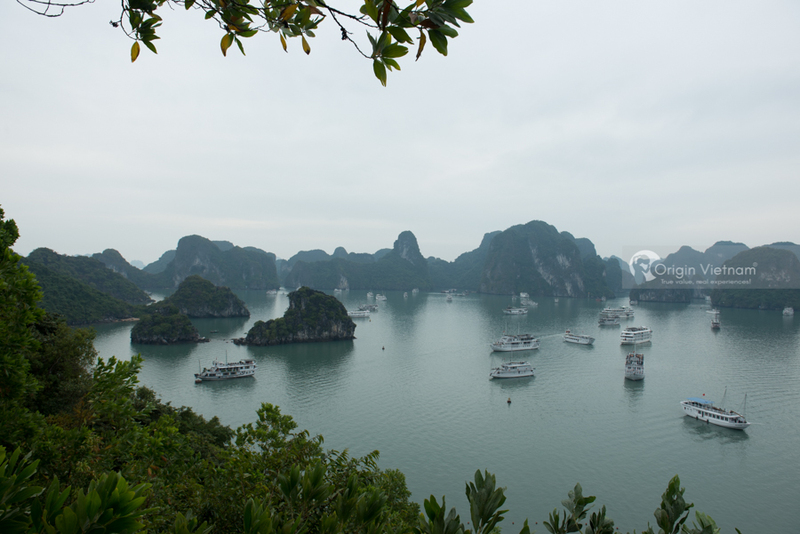 First of all, the scenery of Ha Long Bay is often covered with fog and drizzle, making the scenery become both immersive and immature. Early in the morning, the island peaks covered with fog. There are dense fog days so boats are difficult to pass through, but thanks to that the scenery Ha Long beautiful strange. As the sun rises, the fog gradually melts, Ha Long is like a beautiful picture gradually visible in front of visitors. The secret to Ha Long tourism this season is on the boats of fishermen or cruise ships to go in the mist and squid. Spring is also the ink season of Ha Long. Guests can drag nets, ink squid, lights ... on the ship and enjoy the fresh squid at it. Spring Ha Long also has many fun festivals New Year. Guests can go to Cua Ong Temple, Long Tien Pagoda, Cai Bau Pagoda, Cien Tien Temple ... to participate in folk games in the festival and spring to pray for good luck for the family. According to secret deals when seasonal tourism by many people, summer Halong lasted 3 months: 4, 5 and 6. In that May is peak tourist months of this place, especially tourists country. Ha Long in the summer has sun and wind, dry weather, beautiful sea and many fun activities that visitors can experience. Except June is the month or the storm, April and May is a great time to explore Ha Long. Guests can take a dip in the sun, enjoy sunbathing on the sandy stretches or go to the caves. In the spring, drizzling rain can make the visit to the cave inconvenient because of the humidity. So go explore Ha Long cave in the summer is very suitable. The dry cliffs, the bright sea under the sun will make visitors more convenient to visit the Bay. In the afternoon, you will see sunset on the bay. CNN has voted Ha Long as one of the five most beautiful sunset spots. In the evening, guests can enjoy dinner by the beach and watch the sea and immense colors drop into the water from the yacht. This season, visitors can enjoy exciting games such as kayaking, island exploration, water puppet show and dance music, cruise on the bay. The secrets of Ha Long Bay travel season is that autumn is considered the most romantic season in the North, and in Ha Long is no exception. 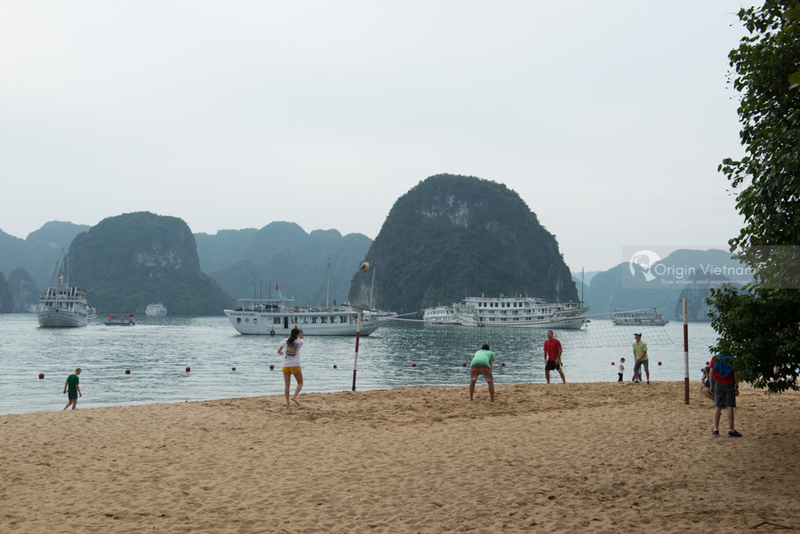 Autumn Halong lasts from July to September with mild sunshine, blue sea and weather is cooler. In July, the storms in August and September in Ha Long are very beautiful and peaceful. Autumn in Ha Long is no longer the dazzling sun and no wet drizzle, so the Gulf exploration more convenient. The trees on the bay are also green and many flowers bloom like flowers, paper flowers ... Early autumn, Halong Bay began to fog but only a thin layer alternating with the sunbeam.. The visitors will be able to see the sails of the wind on the sea and the rocky mountains of green trees. Ha Long City is also beautiful with many roads filled with leaves, suitable for stroll chat. In the evening, Halong is more poetic than ever with yellow moon, sea shining moonlight and the waves breaking the shore. 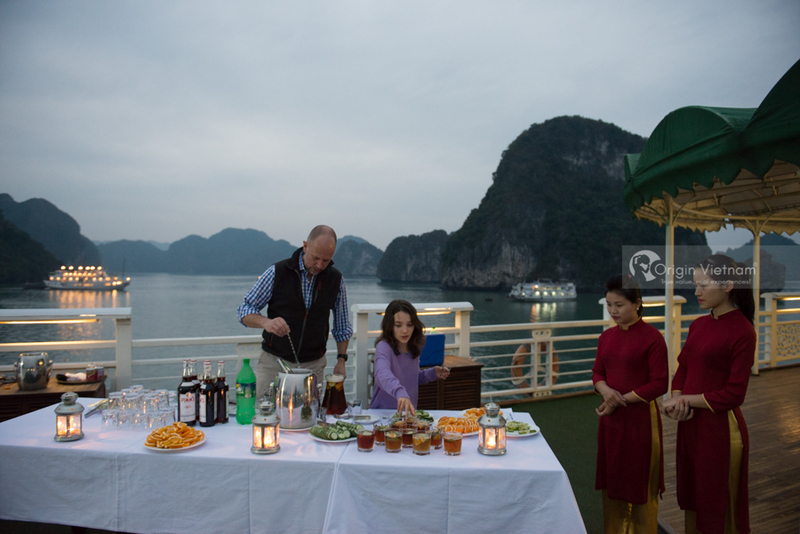 While Vietnamese tourists love Ha Long in the summer, foreign tourists often come to Ha Long in the winter. The Ha Long Sky in the winter is a gray, sad and dreamy blue sky in the summer. The tips of Ha Long tourism season share the weather in Ha Long in winter is quite cold, so not many visitors bathing. Instead, activities like kayaking, hot tubs, getting up early for the sun and lying on the sand ... are favored. Arrive Ha Long in the winter, visitors should go to the fishing village. After every night fishing, the boats in the fishing village will gather and the fire in the boat will rise. The smoke in the kitchen with fog and the smell of food flying in the wind will make the winter warmer. You can also spend the night at the fishing village to learn more about the life of the fishermen or spend the night on the train to enjoy a night between waves. Winter in Ha Long is quite deserted, so it is more suitable for visitors to admire nature and explore the bay. Around this time, the fog in Ha Long is not so thick that only covered the island into a thin layer like chiffon scarf, look really virtual. Therefore, more and more tour operators are opening Ha Long tour in winter and many tourists choose to Ha Long this season. With the travel tips above, Origin Travel hopes to help visitors choose a suitable season to explore this amazing place.